If your baby has developed cradle cap, there’s a product that might help. Gentle Naturals Cradle Cap Care helps to loosen the scales and wash them away without irritating your baby’s sensitive skin. 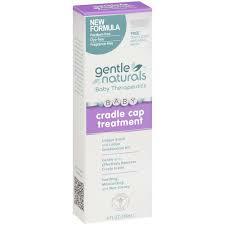 Gentle Naturals Cradle Cap Care is light and non-greasy. You can buy Cradle Cap Care in stores and online for around $6 for a four-ounce bottle. For more information, visit Gentlenaturals.com.